Alpine dominated 2-litre racing in 1974 to a degree that few had predicted. Although the cars' reliability record wasn't good, they were significantly faster than anything else so if Jean-Pierre Jabouille's works Société Alpine cars retired, Gérard Larrousse's pair of Team Archambeaud Alpines could pick up the pieces. Either Jabouille and Larrousse took pole position at every round, the final score being 4-3 in Jabouille's favour, but reliability meant that they only won five races between them; the others falling to Archambeaud's Alain Cudini and Société Alpine's Alain Serpaggi. Although Serpaggi wasn't as quick as his teammates, his car was the most reliable and his three second places were sufficient to secure the drivers' title. 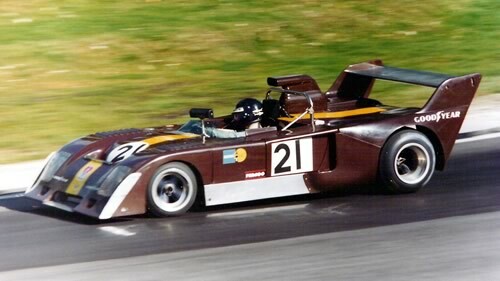 Chevron's new monocoque B26 was a huge step forward after the struggles of 1973 and when equipped with Brian Hart's new alloy block 420R engine, it was almost a match for the Alpines. But with Red Rose Racing having closed, it was left to John Lepp in one of Roger Hire's Forge Mill Racing B26s to lead the Chevron fleet. The quickest Lolas were the hire-drive cars run by Martin Raymond and Roger Heavens but the most successful were the two new T294s run by Fred Stalder's Racing Organisation Course and fitted with ROC's Chrysler-Simca engines. Although focused more on Le Mans than the 2-litre series, it was Stalder's T294 that picked up the bulk of Lola's points. March only fielded three cars in Europe, a works car for Jean Ragnotti, which swapped from BMW power to FVCs during the season, and two from Paulenco Racing. For Osella Abarth, the season was a disaster, new team drivers Chris Craft and Jean-Louis Lafosse unable to find either speed or reliability in the new PA2. In Germany, Jörg Obermoser's big-budget operation reworked his GRDs into TOJ SS02s and with the experienced Dave Walker in the second car, showed impressive speed. Cosworth's old FVC engine continued to appear in large numbers from the workshops of Alan Smith and Geoff Richardson but its days of dominance were long gone and BMW engines and Cosworth's newer BDG were more competitive options for privateers. The Abarth engine continued to work well in Enzo Osella's cars but was no longer seen in customer cars at European level. The Cosworth-Chevrolet Vega engine had not been seen since mid-1973 but two new engines made an impact: Brian Hart's new all-alloy 420R engine which was seen in the works Chevron and ROC's Simca engine built by Max Funda and installed in Société ROC's fleet of Lolas.